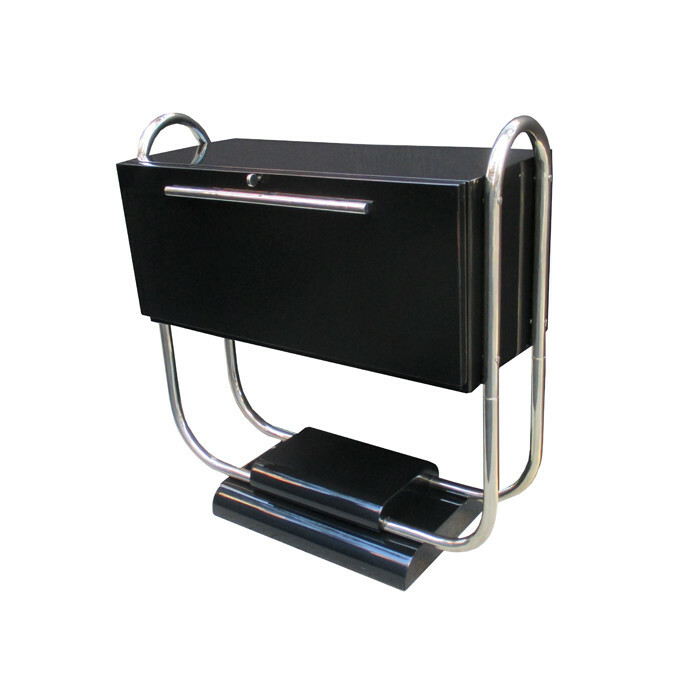 An Art Deco free standing bar cabinet designed by Reneé Herbst. Black lacquer with polished nickel details. Doors on both sides open to a sycamore lined interior with glass shelves. Dimensions: H:39½ W:38 D:18 Inches.